This is a very strong medium weight Silk Filament thread with a beautiful sheen. It is beautiful for hand stitching. 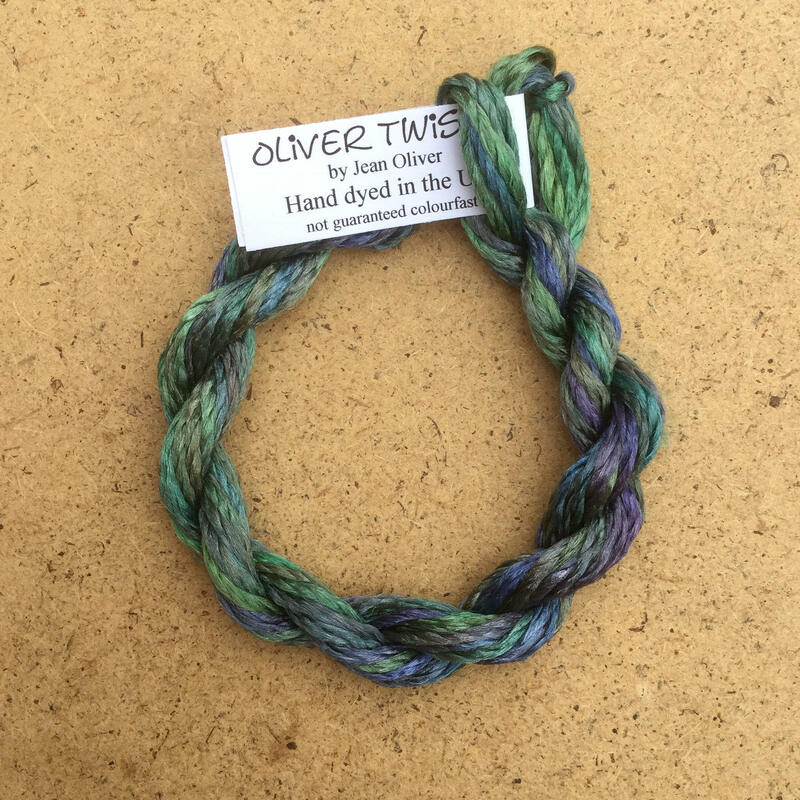 Colour No.53 Spruce - the overall colour is Green but also contains Blue, Purple and many tones in between which are very subtly variegated along the length of the skein.